Ever wanted to know how to do the JJC's African Skank dance? 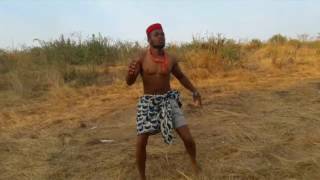 In this dance video, Dance Group from Ajah, Lagos do the African dance from Nigeria's Alanta dance, to Ghana's Azonto, Kenya's Massai dance, and South Africa's Hlokoloza dance. Can you beat it? Check out the dance moves. Sani danceMachine and the ambassador dane group. They are showing us what the african skank should be like. feel free to shoot your own version and upload. Awooo!